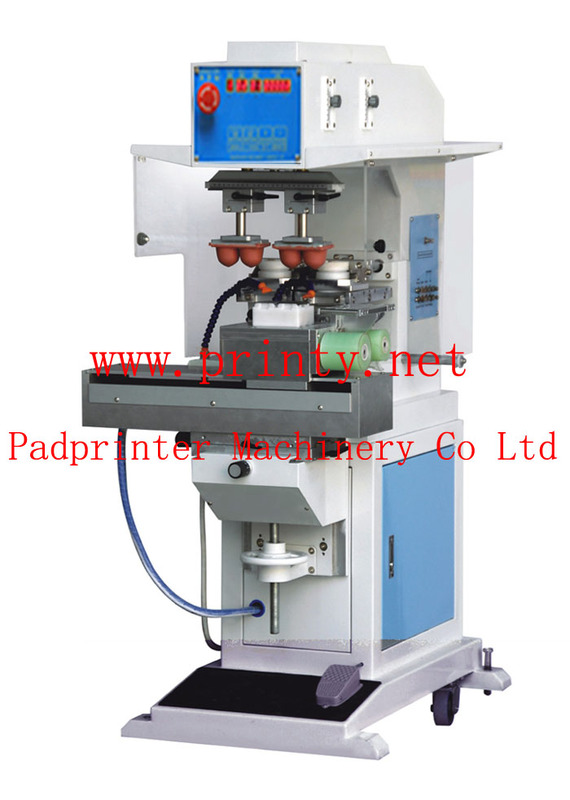 Professionally manufactures & wholesale 2 color shuttle pad printer machine with auto pad cleaning function, pneumatic 2 color ink tray ink cup pad printing machine equipment with automatic cleaning system. Pad printing plate size 100x250mm. Pad printing ink cup diameter 90mm.